JAM (The John Armitage Memorial) starts its 2016 season with a concert at St Bride's Church, Fleet Street, on 17 March 2016 which features new music by composers, Jonathan Woolgar, Mike Stubbs, Huw Morgan and Daniel Saleeb, along with works previous commissioned by JAM, Thea Musgrave's The Voices of our ancestors and Judith Bingham's My heart strangely warm'd. The performers are the the Chapel Choir of Selwyn College, Cambridge, Onyx Brass , Simon Hogan (organ), Stephanie Corley (soprano), Annie Gill (mezzo-soprano), Andrew Radley (countertenor), Ashley Catling (tenor) and Omar Ebrahim (bass) conducted by Michael Bawtree. Jonathan Woolgar's Kiss the Sun is a duet for two trumpets. Woolgar, who recently wrote music for a new solo show for soprano Heloise Werner, studies as the Royal Academy of Music and also studied with Giles Swayne in Cambridge. Today, Tonight and Forever for choir and organ by Mike Stubbs, Dance for organ by Huw Morgan and As de Canter for choir by Danny Saleeb were all submitted to JAM's annual call for pieces. Thea Musgrave's Voices of our ancestors was premiered by JAM in 2015 and was Musgrave's first major work for chorus and ensemble since 1996. 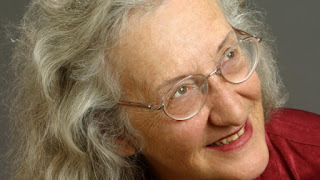 Now in her 80's, she was inspired by the chance finding of the Vedic Creation Hymn (circa 1500 BCE) and has written a work which juxtaposes fascinating poems from across the centuries, cultures and the globe. Judith Bingham's Heart Strangely Warm’d was premiered by JAM in 2006. The work depicts scenes of 18th century London, with Bingham imagining that William Blake might have passed John Wesley in the street or heard him preach, and their dialogue is interspersed with descriptions off the squalor, overcrowding and poverty of London.